The 90th Academy Award ceremony will air live on Sunday, March 4th, 2018. 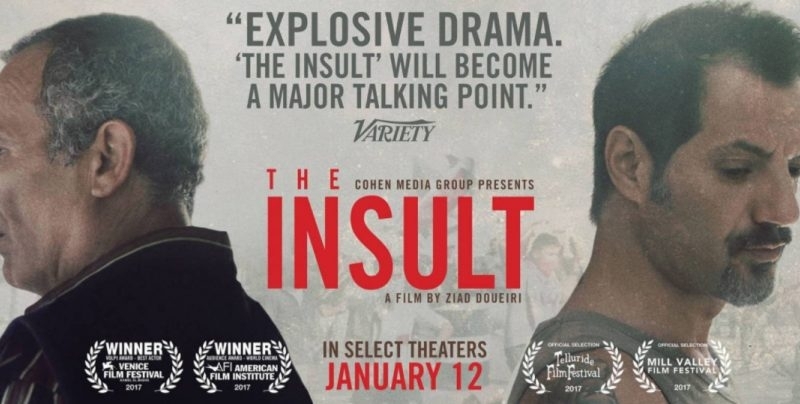 BEIRUT: Ziad Doueiri’s film, The Insult, received Tuesday the Oscar nomination for Best Foreign Film 2018, making it Lebanon’s first ever entry into the Oscar race. The film, which underwent a myriad of political controversy in Lebanon, is a slow-burn-narrative set in modern-day Beirut, tackling a Lebanese-Palestinian conflict that continues to haunt the nation. The Insult crescendos towards a climax as lives are changed, political views collide, and families are pitted against each other, while the country’s stability hangs in the balance. Doueiri had spent the last twenty years away from Lebanon, and upon his return to the country for the film’s premiere, last year was stopped at the airport for filming one of his previous movies, The Attack, in Israel. “For me, I’m still among those who believe that the objective of any film is to convey a story, and not only to express a position or a political stance. It is the story of the characters within the film,” Doueiri stated when discussing his process as a director and storyteller.